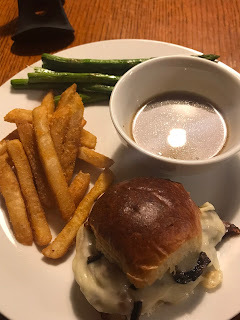 This week my Manga Monday recipe was for French Dip Sliders, found here: http://www.delish.com/cooking/recipe-ideas/recipes/a51086/french-dip-sliders-recipe/. Okay, first off, these were SO easy. And so quick! 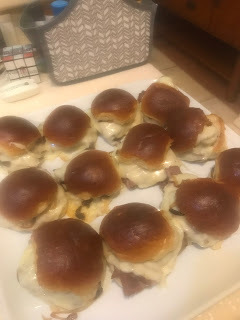 By the time the oven was heated I already had the sliders assembled and ready to go in. 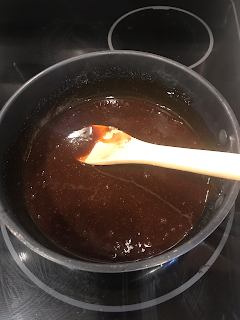 Then it was just a matter of making the Au jus for dipping while they cooked. So simple! The only side note I have about the recipe is that it did need more butter than indicated - you're supposed to cook the onion in butter, and then brush the tops of the sliders with butter before baking them, so I melted an extra 2T of butter for that. Then of course the butter for the au jus. My daughter doesn't eat sandwiches, so she was out, but my husband and son and I all loved them, and my son even took the leftovers to school for lunch today (after I convinced him that I am sure they would still be good even if they were cold). The bread was just crispy enough, and the cheese was perfectly melted after just under 20 minutes in the oven. The recipe didn't come with any side dish suggestions, so I made french fries (always a fan fave) and asparagus. Nothing fancy, but it was all yummy. Week two of Manga Monday and I haven't quit yet. That's something, when it comes to cooking. 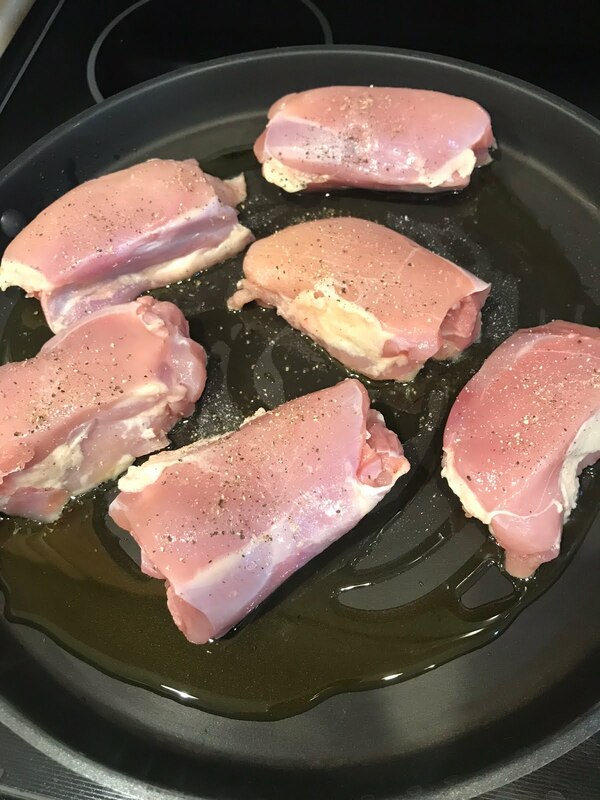 Apparently this particular chicken is used in other recipes over on delish.com, because they referenced their crack chicken being a big hit in other stuff. This was my first experience with it, however. Breading all the little chicken pieces took just north of forever, but once that was done there really wasn't much else in the way of work. 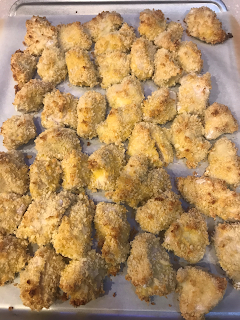 And I will say it did take more than the 2 cups of panko that the recipe called for, so if you make it I suggest having extra on hand. While the chicken cooked in the oven, I prepped the BBQ sauce. I was a little bit skeptical of it, with the garlic powder and brown sugar, but it was actually delish!! You're basically putting that on the tacos instead of sour cream and everyone loved it. The meal was a big hit with my family and I would absolutely make it again. 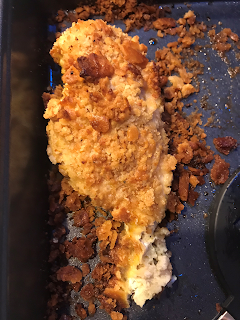 Word of caution, though...this chicken does NOT taste fabulous re-heated, so next time I won't bother saving any leftovers. 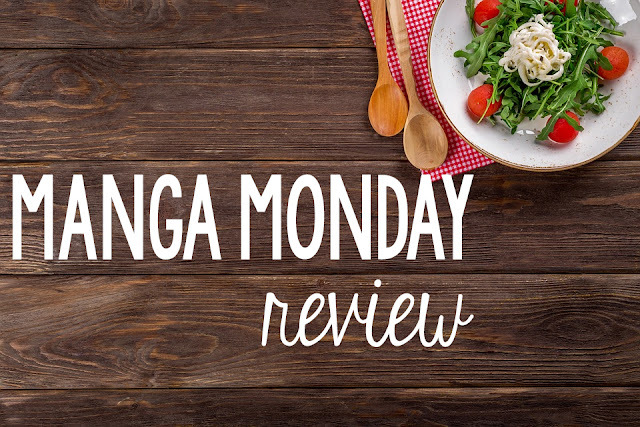 First off, working from home, I adore slow cooker recipes because I can throw them in around lunchtime and not think about them again til dinner. But honestly, for people that work in an office elsewhere, or outside the home, how do you arrange it? 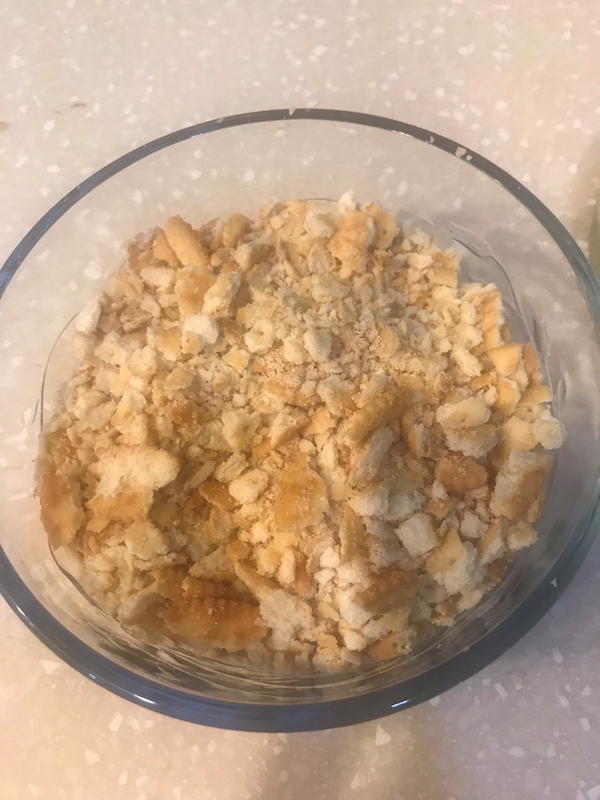 I feel like most recipes I see want you to cook for about six hours on low, and for a lot of people that would mean starting it before 8am when they leave the house, and then it's essentially done mid-afternoon. 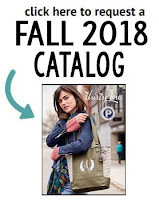 So I'm really curious how that works. 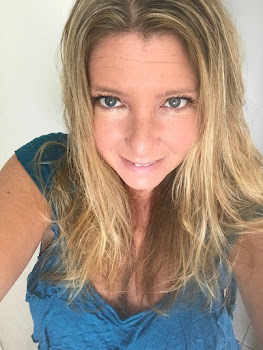 But in any case, I am right here at the house most days, so it's working out wonderfully for me. 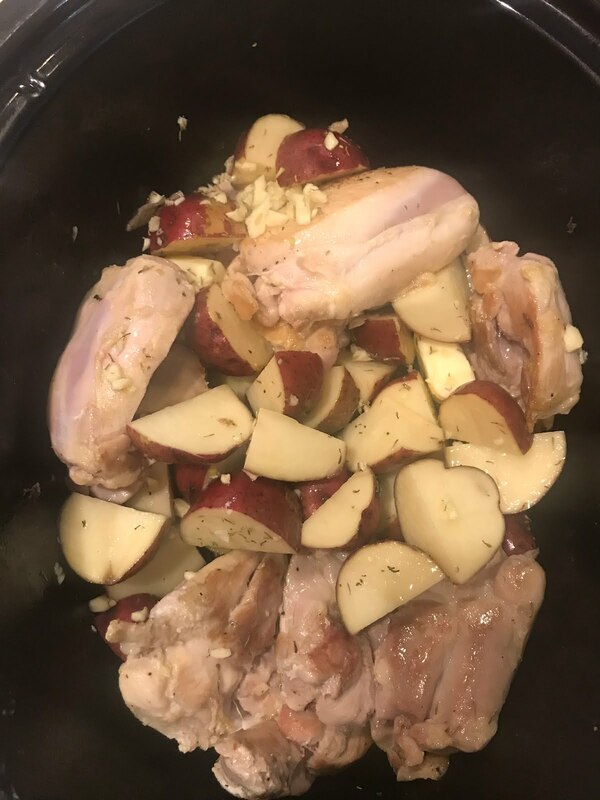 With this particular recipe, it wanted the chicken to be seared in a pan first, which doesn't seem to be the norm with most slow cooker recipes I've used, but it worked out well, as while that cooked I had time to chop up the potatoes and garlic. Side note - who sells a garlic peeler?? I don't at all mind chopping it, but peeling might be the death of me! Honestly, if you work for a direct sales kitchen related company and have something that peels garlic, or know where I can pick one up, leave me a note in the comments. I feel like this is a must have in my life! 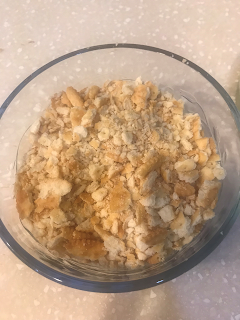 Once the chicken was seared and the rest of the ingredients assembled, I threw it all in the slow cooker on low for six hours (the recipe suggested 4-8 so I split the difference) and pretty much didn't think about it again until dinner. That to me is a huge win because I am easily distracted and sometimes forget about this whole "feed the family" thing. I did really like that the entire meal was all in one place, and there was no needing to prepare side dishes, etc. a half hour before dinnertime, as is the case with a lot of slow cooker meals I have made in the past. The end result? Easy and everyone loved it. The chicken didn't at all dry out, the potatoes were particularly delicious and despite the five cloves of garlic, it wasn't overly garlicy in the slightest. I definitely think this one will make a re-appearance on our dinner table sometime soon. Okay, so I got this harebrained idea to start cooking more last year...and I did...but it was through using one of those meal delivery services, where they send you all the ingredients for three meals each week and the recipe. And that was great...but it got repetitive after awhile, and some weeks there just weren't choices that interested me and my family. 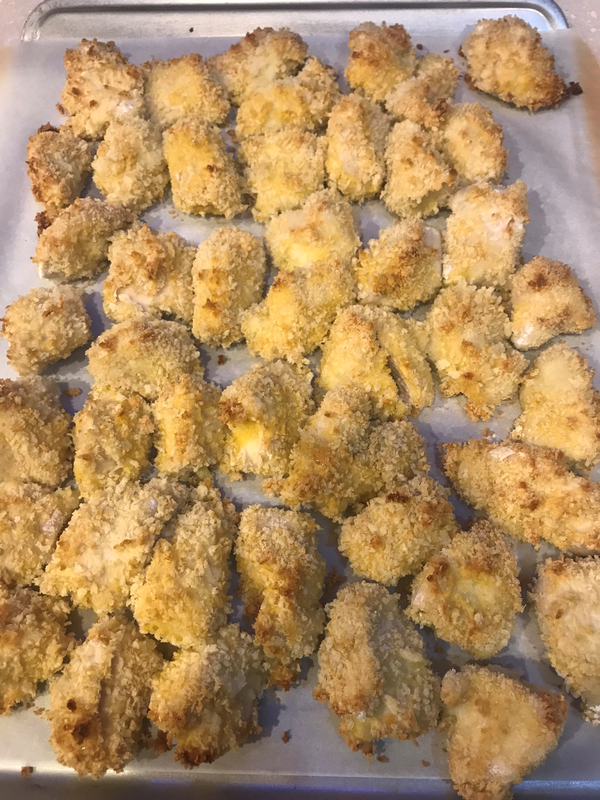 So this year I'm committing to trying at least ONE new recipe a week, that I will find somewhere out on the internet, and each week I will post the recipe and then later in the week after I have made it, I will post a "real chick review" on whether it was good, difficult to make, etc. See my video below for a little more explanation, and then below that, the recipe.